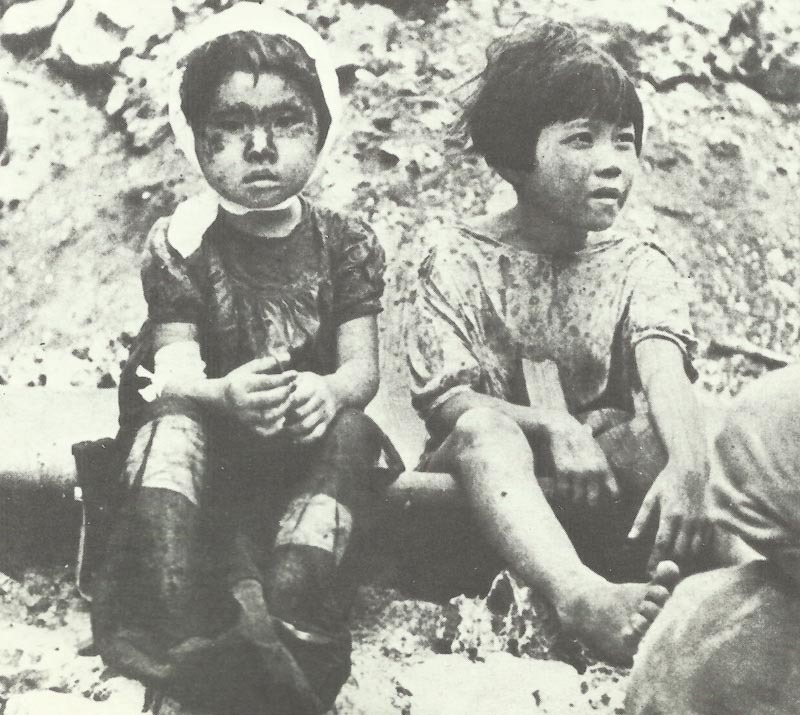 Two children who could still be saved from the inferno of Nagasaki. Allies reject Japanese pre­conditions on surrender question. Britain: Queen Mary docks at Southampton.